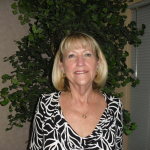 I have been at Jacksonville Rentals, LLC for over 7 years and enjoy finding the right home for the right person. I have a rental property myself so I understand the importance of putting qualified people in good homes. I have a great knowledge of the rental business and a positive attitude. I am happy and eager to help residents, prospects and clients no matter what their needs are. I believe in good customer service.